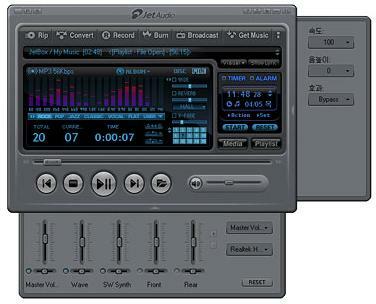 JetAudio 8.1.7.20702 Plus VX Portable » TopFreeSoft.Net - Best Freeware Software!
? Bookmark. Bookmark menu is shown when clicking click time information in jetAudio window.
? History (Resume). History menu is shown when clicking click track number in jetAudio window.
? Support Remote Controller. You can control jetAudio using MCE (Microsoft Media Center) compatible remote controller or StreamZap remote controller.